[0:02] <gtrmtx> hey guys..working with raspbian and unifi video server version 3.0.9.25...i am using minimal kiosk browser and i am able to view the live view from the ip of each individual camera, but if i try to do live view from the unifi video server it's just black. how do i get it to work? [0:05] <shiftplusone> edwardthefma, I didn't say you should worry about voiding your warranty... you asked about what's safe. The warranty void condition is a good indicator. [0:18] <Anorion> has anyone ported the kinect to the pi yet? [0:37] <nfk|laptop> may i recommend firing pepper spray at yourself? [0:38] <Froolap> user123 I don't do updates, if it works then it doesn't need fixing. [0:38] <Anorion> <nfk|laptop> may i recommend firing pepper spray at yourself? <--- ?? [0:41] <nfk|laptop> what if it hits your cat in the eye? [1:13] <[Saint]> the "danger" of updating aside (c'mon...really? ), no one needs rpi-update, period. [1:13] <[Saint]> it quite literally does nothing that you can't do already without it, and does so in a fairly broken way. [1:43] <secrettriangle> Why should I get an rpi? [1:44] <flounders> secrettriangle: I think the reasons will be as varied as the uses. [1:44] <flounders> I got mine to serve as a temporary desktop while my laptop gets fixed. [1:45] <secrettriangle> What can I do with an rpi that I can't do with my laptop? [1:49] <[Saint]> As in "cheaper than *thirty bloody dollars*"!?! [1:50] <[Saint]> yeah - precisely. [1:50] <[Saint]> Save $10, for no warranty, and a potentially faulty unit. [1:50] <[Saint]> not. worth. it. [1:51] <[Saint]> Man up and dig around in the couch cushions if you have to. [1:51] <[Saint]> Save for a week or two if you have to. [1:51] <muriani> That's really not the kind of interaction I would have expected here. [1:52] <[Saint]> One expects bad advice instead? [1:52] <abnormal> but it's very true tho..
[1:53] <muriani> that honestly wasn't advice, that was insult. [1:53] <muriani> that was condescension. [1:53] <abnormal> I ordered a model A and got a model B 256 mb instead. [1:54] <muriani> because I deigned to suggest I might find an older model, which I need for a specific purpose, for cheaper than, yes, thirty dollars. [1:54] <muriani> abnormal: a 256MB model B would be just fine. In fact that's pretty much what I need. [1:55] <[Saint]> And, JSYK, you can still buy the B from most retailers. [1:55] <muriani> [Saint]: alright then. [1:55] <muriani> well have fun guys. [1:56] <[Saint]> RS and E14 do too. [1:56] <[Saint]> But, not at "I want this cheaper, 'cos...reasons" pricing. [1:57] <[Saint]> Saving $10 maybe isn't worth the lack of warranty and sales support. [2:06] <lostogre> Hello all. I am trying to connect a raspi with and arduino over i2c. If I am only trying to read a byte at a time, all is well, but when I try to read more than one byte I run into problems. [2:06] <lostogre> I cannot seem to make it work in python. [2:06] <lostogre> however, there is precious little documentation for doing this with the smbus library for the pi. [2:07] <methuzla> lostogre: are you using a level shifter? [2:07] <lostogre> I need to be able to read 16bit values because I am using the arduino to control sensors and the pi to use the information to aply logic. [2:07] <ppq> just curious, why i2c and not uart? [2:08] <lostogre> methuzla, I am using the pull up resistors in the pi to regulate the voltage on the arduino. The pi is master and the arduino is slave. [2:08] <lostogre> ppq, speed and seeming simplicity in connecting them. [2:08] <lostogre> ppq, also, because it simplifies the overall design. [2:09] <lostogre> ppq, if we used something like usb, we would have to resort to a hub and to *many* wires. [2:09] <McBride36> Bilby, have you figured out a solution yet? [2:09] <lostogre> with i2c we will have to build a wiring harness or use a solder "breadboard" but it will reduce the amount of wires. [2:10] <lostogre> That and the consistency of the addressing. [2:13] <Bilby> darn it. switch that would work fine: $3.75. Switch customer wants to use $15.07. Literally tripling the cost of the build. Life! [2:14] <methuzla> lostogre: can you pastebin what you currently have in the way of python code? [2:14] <lostogre> methuzla, I can show what I have that works. [2:15] <methuzla> and what you tried for multi-byte? [2:15] <[Saint]> How the? Maybe I can't math. [2:15] <lostogre> methuzla, most just trying to read the next byte with the same code and also a couple of other library functions. I'll include the link for what I have. [2:16] <[Saint]> But, how does an additional item (or any N value of said items) that's $N*4 triple the project cost? [2:17] <nfk|laptop> the first of April. It‘s now three forty five in the morning, that‘s early. [2:18] <[Saint]> are you near a black hole? [2:30] <juser123> Ok. seeing that rpi-update has goofed my system up. is there a way to recover from it and get back to the stock raspberian without reloading? [2:33] <shiftplusone> juser123, it would be good to know how rpi-update goofed up your system first. [2:34] <_puddle_> so people... raspbmc or xbian?? [2:36] <shiftplusone> you can now install kodi in raspbian. [2:36] <nfk|laptop> juser123, but is that really because of firmware? [2:36] <_puddle_> shiftplusone, why neither? [2:37] <nfk|laptop> and you changed nothing else? [2:38] <_puddle_> which usb dongle? [2:38] <simonpatapon> What dors rpi-update? [2:38] <shiftplusone> _puddle_, because for a pure htpc, openelec is perfect. For a general purpose distro with kodi, raspbian is fine. [2:38] <juser123> wpa_supplicant gets me associated, but dhclient won’t negoiate an IP address. i see the connection on the AP, and no request for dhcp. [2:41] <shiftplusone> simonpatapon, pulls in the bleeding edge firmware, kernel and vc libraries. [2:42] <kevin> hey guys. just did some reading on the gpios. pretty familiar with the software but had a quick question on the actual hardware. i dont need any quantized values, just on or off. looking at http://bit.ly/1DnGbJj, can i put a momentary switch (that defaults to off) on pins 17 and 18 without using a resistor? [2:43] <nfk|laptop> juser123, so you are not even seeing the AP end of things? [2:43] <shiftplusone> nfk|laptop, I added a feature to it which will display a NOTICE.md, if found. If the notice contains 'WARNING', it will ask if you want to proceed. Doesn't do anything right now, since there's no NOTICE.md, but that's the general idea. [2:43] <lostogre> methuzla, it gives me the same byte. [2:44] <nfk|laptop> juser123, from? so you can actually confirm that AP does indeed establish a connection, correct? [2:45] <nfk|laptop> and it's not iwconfig or anything, yes? [2:45] <juser123> just no DHCP requests, so no address assigned. [2:45] <lostogre> methuzla, Ok. Thanks for looking. [2:46] <lostogre> I'm going to try wiringPi. [2:46] <lostogre> That's the problem I am running into. [2:47] <juser123> nfk|laptop: k.. i’ll give it a swing. just seems related to the kernel/firmware that rpi-update installed. or at least that’s when the issue showed up. [2:47] <nfk|laptop> juser123, also, how do you know it's not receiving the request? are you intercepting packets? [2:49] <lostogre> methuzla, yeah, I have seen those, but thanks. [2:51] <nfk|laptop> juser123, what kind of device is that? [2:53] <juser123> yeah. kinda over did it with the wireless here. [2:56] <lostogre> don't know what else to do. [2:58] <_puddle_> is it possible that the usb ports con't have enough juice to run a ireless mouse keyboard combo and a wifi adaptor at the same time? i have added max_usb_current 1 to config.txt to boost the power but the keyboard and mpouse stop responding at times. if i boot with the dongle in the keyboard won't respond, but if i put it in after boot it works for a time. i have even had the dongle , keyboard/mouse and an external hard drive running all together. [3:00] <nfk|laptop> _puddle_, maybe but just maybe, have you looked at dmesg? [3:01] <shiftplusone> max_usb_current 1? or max_usb_current=1 ? [3:02] <shiftplusone> k, just wanted to make sure. [3:02] <shiftplusone> does the red LED ever flicker or is it constantly on? [3:03] <shiftplusone> and which pi is it? [3:03] <shiftplusone> there's no 2 b+, so I'll assume 2 b.... hurray for confusing naming schemes. Anything interesting in dmesg? [3:06] <methuzla> _puddle_ and are you using a power supply that can supply the extra amps? [3:06] <nfk|laptop> _puddle_, i assume it's logitech stuff, does your mice have acctivity LED? [3:08] <nfk|laptop> _puddle_, and has it happened since you booted? [3:11] <Mr_Sheesh> Could make one but why when BT exists, is cheap, and works? [3:13] <nfk|laptop> now, where does d-link come into play? [3:15] <nfk|laptop> also could it be the dongle simply maxes out usb bandwidth per chance? [3:29] <_puddle_> i know winblows! [3:31] <[Saint]> ssh alone is not a particularly practical reason for switching OS. [3:32] <[Saint]> its not like there aren't plenty of decent ssh clients for Windows out there. [3:32] <[Saint]> PuTTY for one. [3:37] <_puddle_> that is from any terminal? [3:41] <simonpatapon> I sas that there were à lot of thermomètre, humidité for thé pi, do you know of any standalon wifi or wired sensor linux ompatible? [3:53] <danielbrazilian> i want to buy a rpi 2 but have a question, i would love to play videos in full hd 1080p does it work smoothly? [4:01] <_puddle_> danielbrazilian, try google. i'm sure i read somewhere that some of the os available do..
[4:22] <Bhaal> Has anyone produced a board for the compute module which JUST has ethernet (hopefully with passive poe) and the camera connector? [4:33] <shiftplusone> Bhaal, that sounds like a more expensive, less functional pi. [4:36] <shiftplusone> Heh, didn't know "fits into a small aluminium cylinder pretty well" is a feature. [5:41] <jaggzt> why's my gpio script require access to /dev/mem?? [7:31] <_puddle_> anyone else have opinions about xbian vs raspbmc? [7:32] <Chillum> I am using kodi. I have no idea which flavor is better. I would like to know, none of the plugins seem to work for me. [7:33] <_puddle_> Chillum, you running kodi on raspbian? [7:40] <Chillum> pi1 or 2? [7:41] <_puddle_> so is there no 2 b+? [7:43] <_puddle_> lol so no 2 a? [7:45] <_puddle_> whats the led panel in front? [7:55] <_puddle_> wow, why so many? [7:56] <Chillum> do I even need a reason?? [7:58] <_puddle_> are they working together? [7:59] <Chillum> 57.6ghz from a couple of i5s? [8:08] <Chillum> what would you recommend? [8:17] <Chillum> anyways 5 pis outdoes my 2 core 3.5ghz AMD. When it is 16 it will be a very nice tool. [8:19] <Chillum> a poor mans supercomputer for only certain tasks I suppose. [8:57] <jaggz-> wiringpi's gpio binary.. it can enable interrupts on gpio.. but then what? [8:57] <jaggz-> what will be called? [9:35] <_puddle_> can i share my connection via ethernet with raspbian? [10:36] <flounders> buZz: Would it overheat just staying out in the open? [11:02] <_puddle_> how can i check on it in terminal? [11:12] <Nindustries> Hmm.. is modprobe snd_bcm2835 only needed when using the 3.5mm jack? [11:39] <kristina> i got another raspberry pi 2 and it's also showing under voltage warnings. [11:41] <kristina> on this one, in addition to under voltage warnings, the display does really weird stuff when USB is started up. [11:41] <kristina> that happens without any USB devices being plugged in. [11:42] <kristina> i don't understand why it does that. [11:44] <kristina> it either randomly restarts when USB is started or the video output goes weird or it just shows the warning. [11:46] <kristina> either both boards are defective or i'm not seeing something. [11:47] <kristina> can it be somehow related to the kernel not doing USB initialization properly? [12:31] <RoyK> hi all. on the Raspberry Pi Model C - is the ethernet port still on usb? [12:34] <shiftplusone> RoyK: WoL, separate bus, ponies and sandwiches... all there. [12:35] <shiftplusone> What's the date today? [12:48] <toomin> On first of April? [13:46] <SpeedEvil> Random spammage. ##optics exists, for all your discussion about optics needs. [14:41] <_puddle_> how can i share my wifi connection via ethernet with raspbian? [14:43] <simonpatapon> what's the ifaces names? [14:48] <SpeedEvil> Random spammage. ##optics exists, for all your discussion about optics needs. [14:48] <simonpatapon> what do you mean? [14:50] <SpeedEvil> _puddle_: Do you mean you want to access a wifi stick on the Pi, or the laptop? [15:09] <dividuum> Can someone test to see if starting omxplayer and hello_triangle at the same time blanks the screen like it does on my pis? Start both of them at the same time like this http://www.raspberrypi.org/forums/viewtopic.php?f=67&t=105906. Thanks! [15:16] <dividuum> simonpatapon, so it blanks for you? [15:31] <simonpatapon> does the client on eth0 gets an IP? [15:32] <simonpatapon> can it ping the ip of wlan0 of PI? [15:32] <simonpatapon> wan it ping google.com? [15:41] <_puddle_> what am i looking for? [15:42] <Sonny_Jim> What are you trying to do, setup your Pi as an access point? [15:46] <Sonny_Jim> Think about it, what does dnmasq do? [15:47] <simonpatapon> Sonny_Jim, and what about DHCP? do you think his eth0 client get DHCP from hiw PI AP? [15:53] <_puddle_> E: Unable to lock the administration directory (/var/lib/dpkg/), is another process using it? [15:54] <Sonny_Jim> Is an other process using it? [15:55] <Sonny_Jim> simonpatapon: Did you write that guide? [16:24] <shiftplusone> avrdude: passed it on to the powers that be. [16:30] <avrdude> Actually, the slot is only 16.9mm long.. damn those cheap chinese pcb manufacturers..
[16:30] <shiftplusone> Ah, false alarm? [16:31] <shiftplusone> I think it would've come up already if this was actually the case, so it's worth being sure. [16:41] * shiftplusone is not going to switch his brain into geometry mode. [16:44] <shiftplusone> have you measured the hole itself? [16:56] <shiftplusone> actually... I have a few HATs here... let me find the calipers. [17:02] <shiftplusone> I made sure not to buy digital calipers. [17:03] <shiftplusone> Oh I think my research has ended. [17:07] <avrdude> so that's that? [17:09] <shiftplusone> What else can I do? I've passed the information on to the person responsible for the mechanical drawings. If I had callipers with me, I'd check. [17:09] <BobFrankly> https://sites.google.com/site/thepihacker/ps2pi/files/ps2test.c?attredirects=0&d=1 <---This code is supposingly looking for a semicolon keystroke, but I'm trying to change it to something else. Anyone able to take a look and make a suggestion? [17:50] <flounders> avrdude: You should see the entries for the obfuscated C contest. [17:51] <flounders> BobFrankly: Is the compiler throwing an error or is this a run time issue? [19:10] <thmas> Hey, a quick question, does my pi need to be powered off when I plug breadboard & stuff to GPIO or will I just burn my house down? [19:11] <shiftplusone> If you know what you're doing, no. If you want to be on the safe side, yes. [19:11] <shiftplusone> A general rule of thumb is plug the ground in first. [20:08] <nullfaith> Not sure if any of you are well versed in sd cards but, I am getting an error when I try to use gparted on mine. Says /dev/sde: unrecognised disk label, Input/output error during write on /dev/sde, Error fsyncing/closing /dev/sde: Input/output error. Ideas? [20:08] <nullfaith> Thanks in advance. 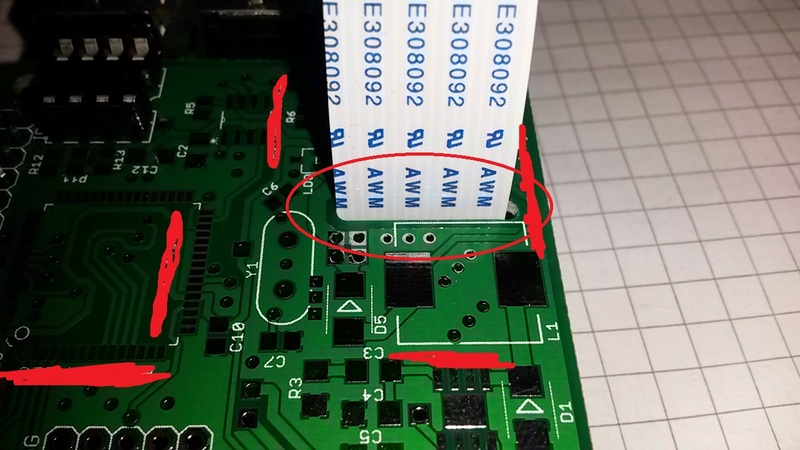 [21:13] <PigFlu> why does the rpi have M2.5 mounting holes and not M3? [21:13] <pksato> rpi don`t have mounting holes. [21:15] <pksato> any versions of rpi don't have mounting hole. [21:21] <ali1234> does any version have mounting holes or not? [21:23] <ali1234> and are they 2.9mm or proper M3? [21:24] <BobFrankly> tighten them too much and you could fatally crush the PCB. [21:24] <ali1234> BobFrankly: so you are saying that no version has mounting holes? [21:25] <methuzla> ali1234 did you read what i posted? [21:25] <ali1234> where did they say this about the A+ and B+ and 2? [21:26] <BobFrankly> ali1234: in what way? [21:26] <methuzla> ali1234 which says: "and added four squarely-placed mounting holes." [21:28] <methuzla> PigFlu why M2.5? i dunno. guess for the smaller size. 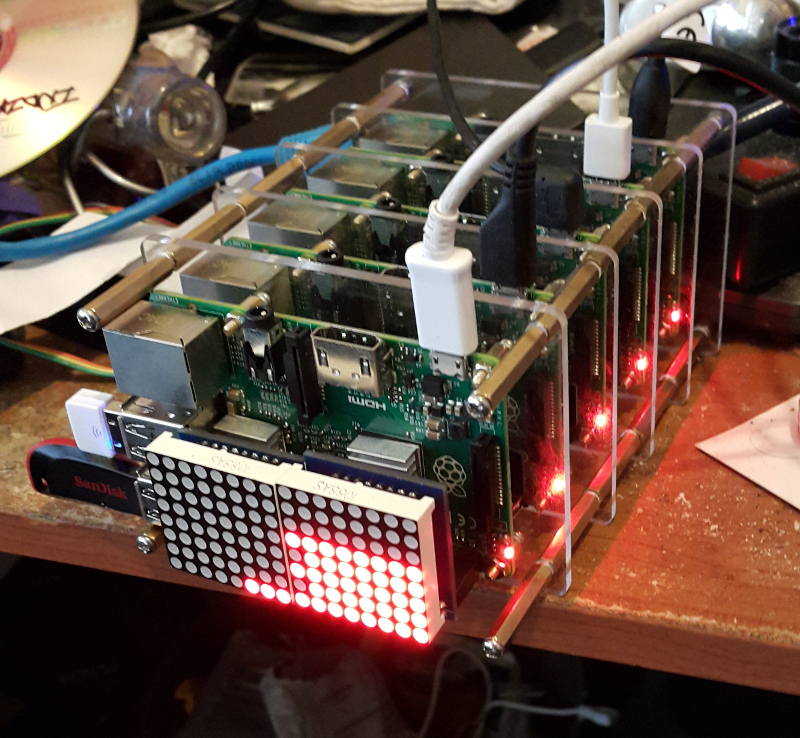 [21:29] <BobFrankly> ali1234: I'm only concerned with the rpi2. I took from your earlier comments that you were as well. Was I wrong? [21:30] <ali1234> ali1234: does any version have mounting holes or not? [21:32] <BobFrankly> "A word of warning: Pete Lomas always asks me not to refer to the holes, which are there to aid the robots in the production process, as mounting holes. (Don�t look at the title, Pete.) This is because enthusiastic screwdriver wranglers can compress and fatally crush the PCB by tightening screws too firmly. If you screw your board to something, you�re doing so at your own risk!" [21:34] <methuzla> PigFlu as you should. that's why they are there. 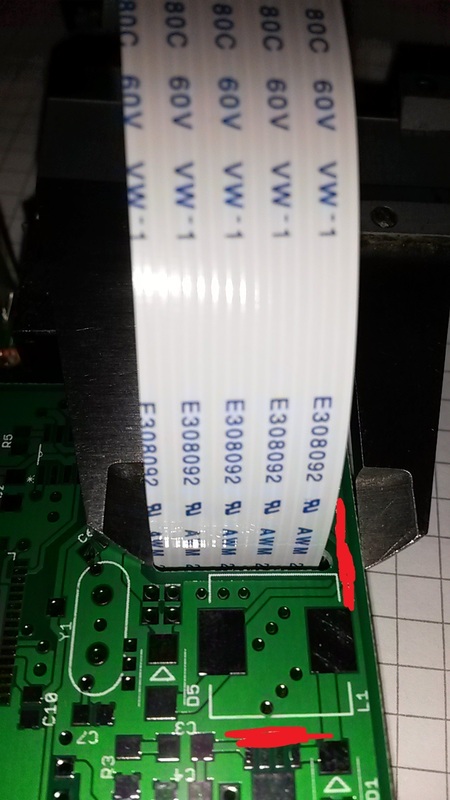 [21:35] <PigFlu> so, i have another question.. i was stupid and didnt bring the pi with me right now when ordering spacers etc.. about how much space is there between the pi and the hat, if a "normal" female header is used to connect with the pins? [21:36] <pksato> rpi is a small board, holes are waste of space. 3mm hole need a ~7mm protecion ara. [21:36] <PigFlu> i guess i could look up the datasheet for the header, but does anyone know at the top of their head? [21:38] <PigFlu> methuzla: how exactly do those work..? you have to screw something in at the bottom as well right? [21:38] <methuzla> PigFlu yes. i think the idea is to make them stackable. [21:42] <methuzla> PigFlu shop around. it's pretty generic fastening hardware. although maybe not easily found in the local bin stock at the hardware store. [22:05] <PigFlu> one question: why are you using google+? [22:06] <PigFlu> you could also have searched for "arduino wires"
[22:11] <Tachyon`> PigFlu, I'm 40 in under 2 days, it isn't, heh.